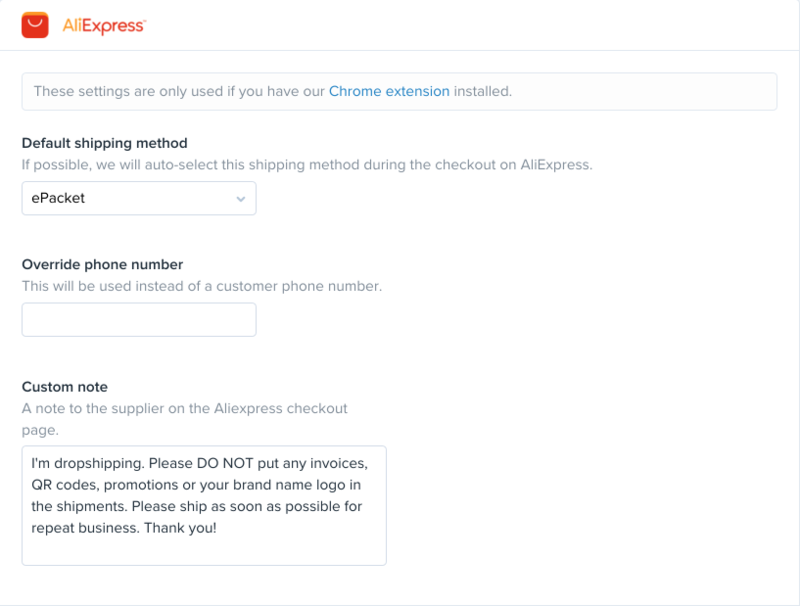 When dropshipping products from AliExpress, we recommend adding a custom note to the suppliers informing that you are dropshipping as there is a risk that the suppliers will add some promotional material or order invoices in the package. To add a custom note, go to Oberlo > Settings > Suppliers > Custom note. The supplier will see this message together with the order information. What Should I Do If the Product Is No Longer Available?